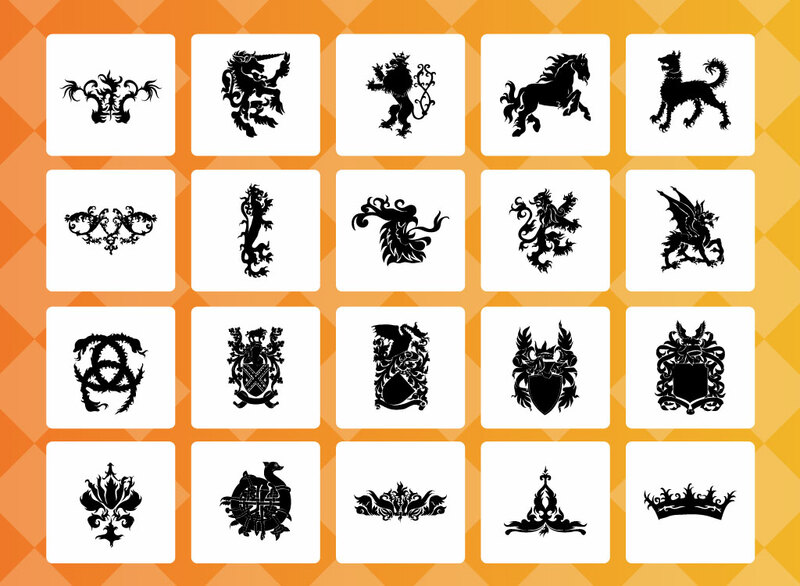 Free medieval vector design elements set of heraldic style Illustrator symbols in black set on white rounded squares. Graphic pack comes with an orange gradient checkerboard background image. Icons in the download include horse, lion, dragon, shields, snakes, crowns, unicorn and many more. Tags: Animal, Crest, Crown, Dragon, Horse, Icons, Lion, Shields, Unicorn.